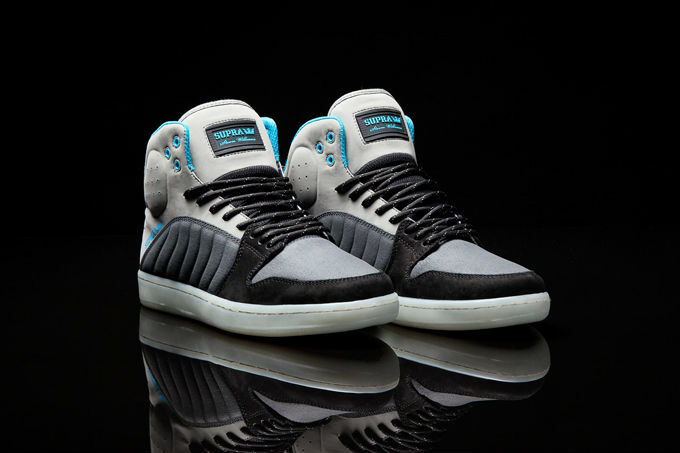 Two new styles have been added to Stevie Williams' Supra S1W collection. The high-performance, signature mid-top drops in a black nubuck and purple suede look, backed by rugged purple TUF. Other features include black rope laces, padded black mesh lining, black cup sole with purple tread and white sidewalls. 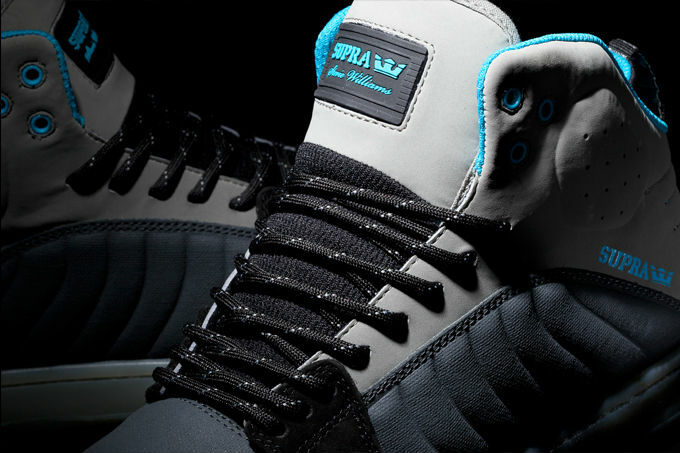 Also, the S1W arrives in grey TUF, accented by black and grey nubuck with turquoise hits throughout. 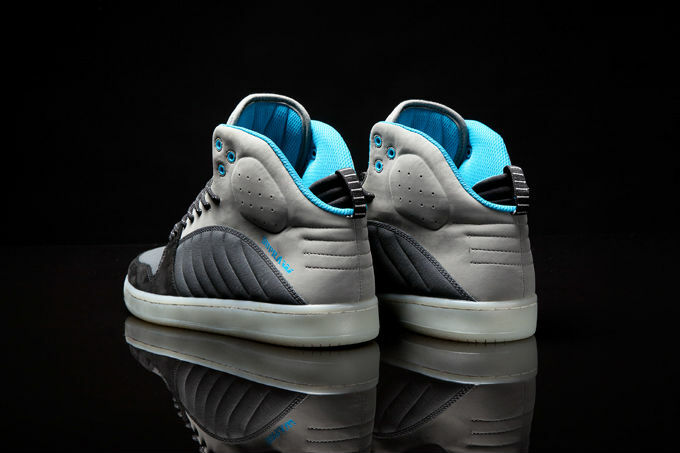 A padded turquoise mesh lining and translucent white cup sole with grey tread help complete the look. 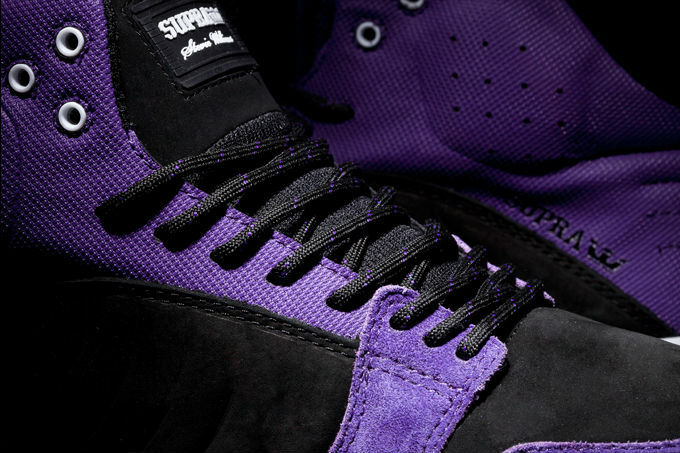 The S1W is available in Black/Purple and Grey TUF at suprafootwear.com and Supra retailers worldwide.